Ever since an Apple patent lodged back in 2011 was rubber-stamped last month by the USPTO, the world of tech seems to have gotten itself carried away with the idea of a near-future iPhone featuring, among other things, a variant of the curved AMOLED display outlined in the filing. It didn’t take long for a leak of a ‘prototype’ of an iPhone 5S / 6 to leak into the wild amid all the hullabaloo, and today, designers Nickolay Lamm and Matteo Gianni have come through with a rather striking render of how an iPhone with a curved display may eventually look. Okay, so there are some practical purposes for patenting a curved display, including the fact that, in theory, they’re said to be better resistant to cracks. However, for Apple to redesign its flagship (this is, after all, painted as an “iPhone 6” concept by Lamm and Gianni) in this manner would be one of the biggest risks in the history of the smartphone. Personally, I find the design to be one of aesthetic beauty, but by the same token, I can also see why others may find it very ugly, and I would imagine a device with no real edge would be rather uncomfortable to hold. Many things we never thought we’d see from Apple have already been released (iPad mini), with others (iWatch) said to be headed to market soon, so writing off the possibility of a curved display iPhone – for some point in the future – would be rather naive. 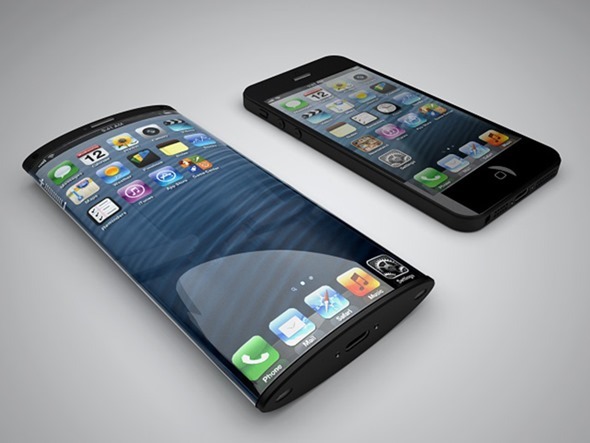 But I would say that even if Apple does plan to take the curved AMOLED route, there’ll be a few generations yet before we see it in the iPhone.